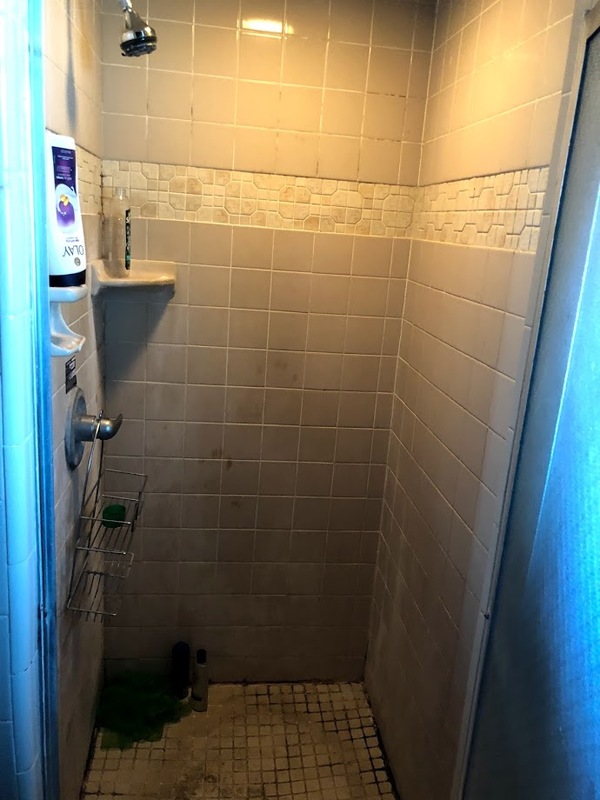 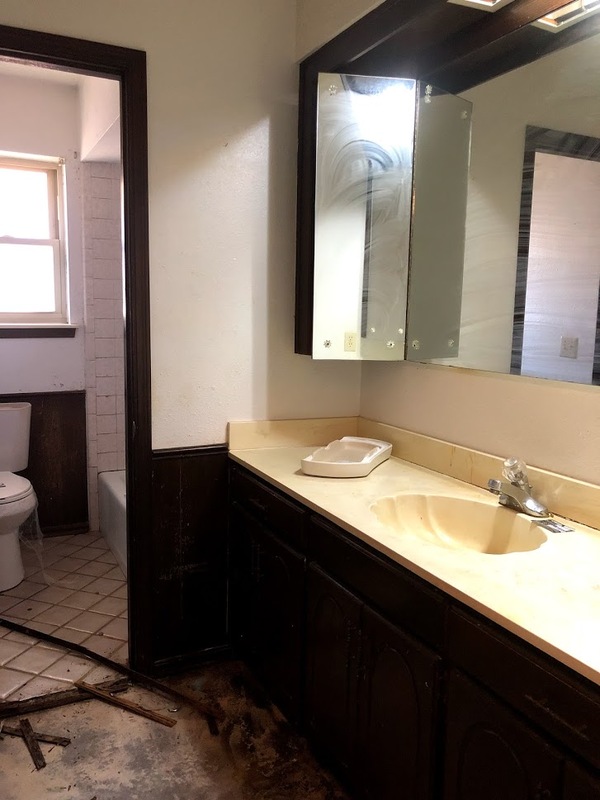 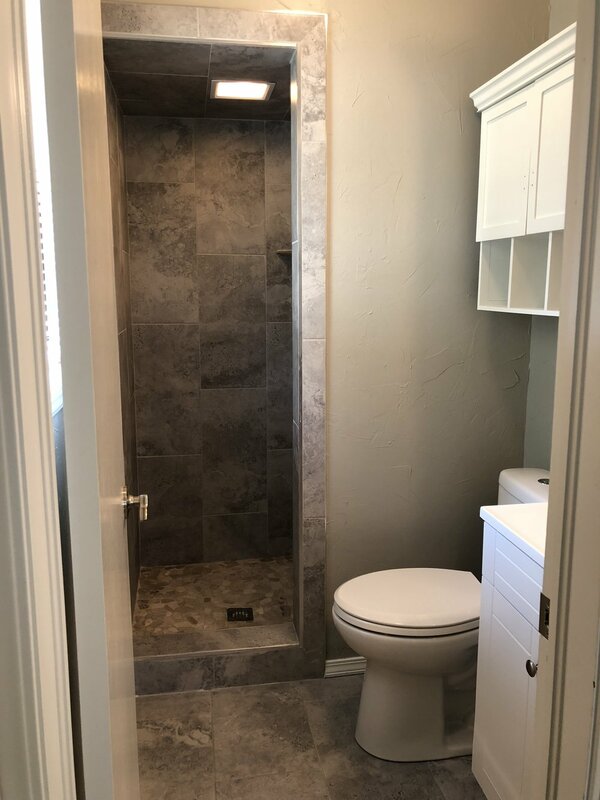 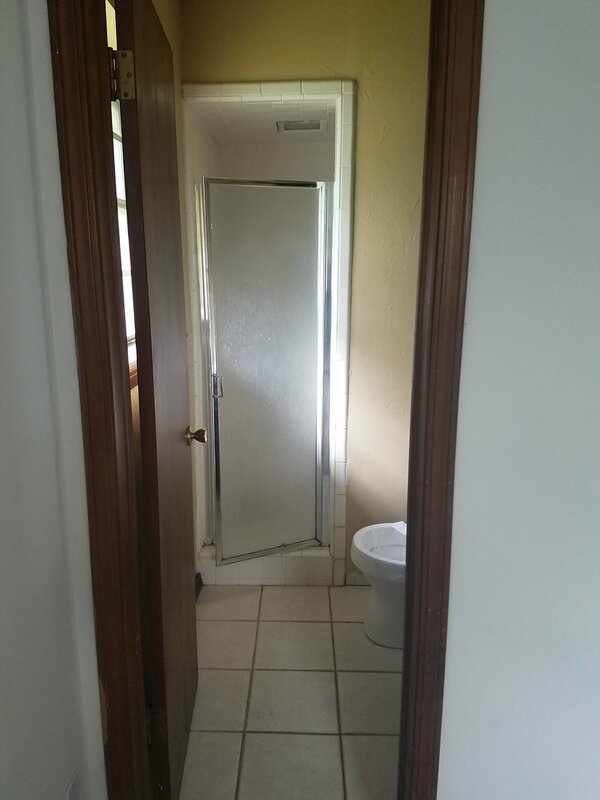 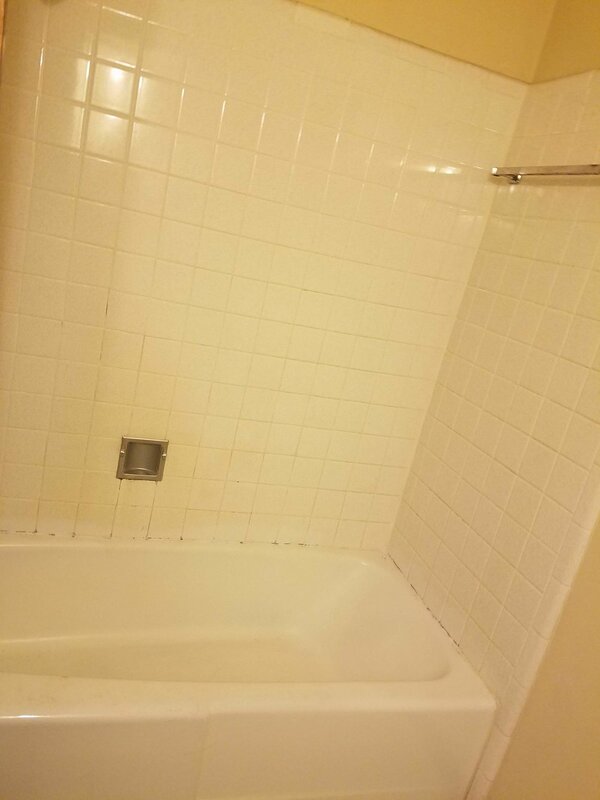 The bathroom features new paint, plumbing, lighting, counter tops, tile and much more. 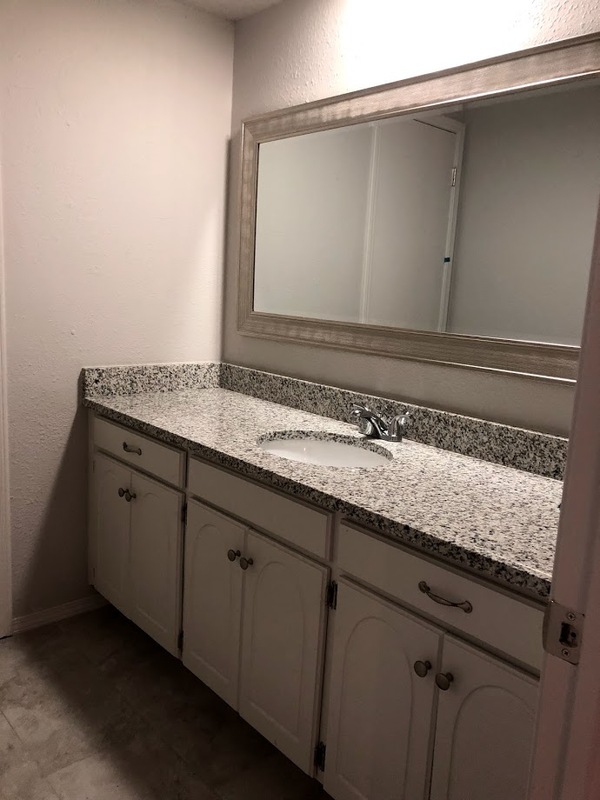 New counter tops, faucet, paint & mirror bring this bathroom to life. 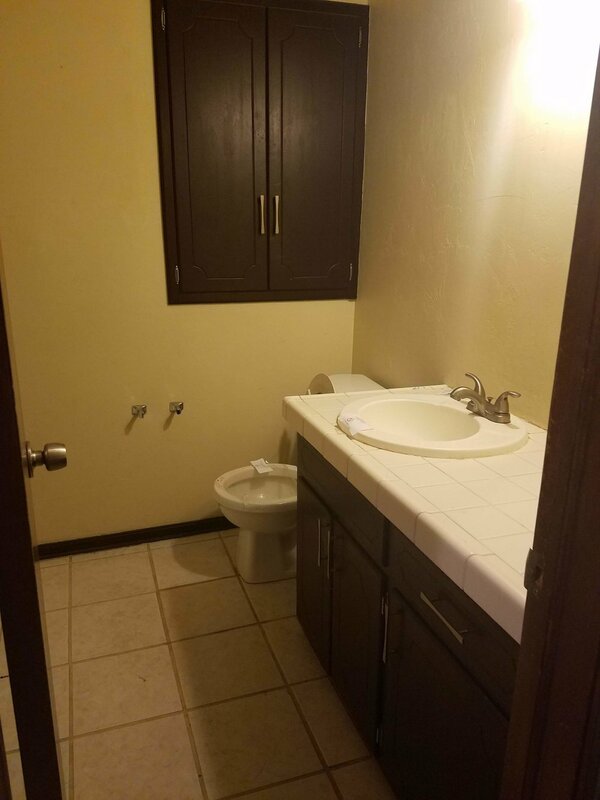 Small bathrooms can seam larger with the right choices.